How to Make Crispy Crunchy Fried Tempeh - Soy Fried Tempeh. Tempeh is a traditional Indonesian soy food that's high in protein and one of the few vegan foods that's high in vitamin B12. 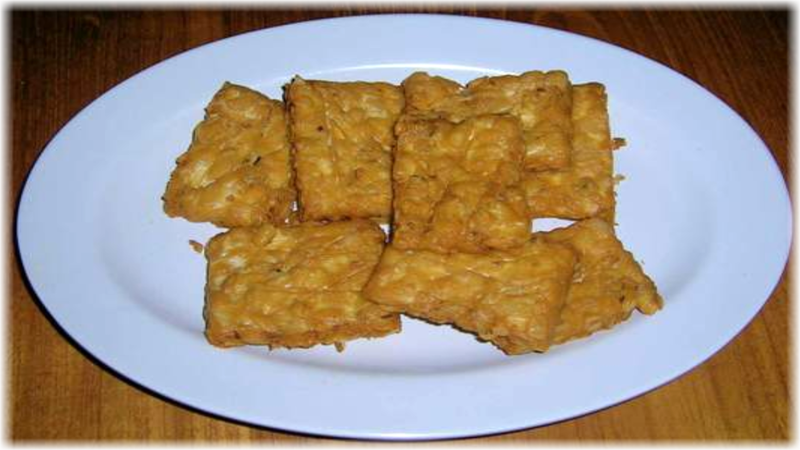 It's very delicious, Fried Tempeh Crispy is a typical culinary offerings typical of our country its verry tasty when fried tempeh moreover we love you crispy flour. 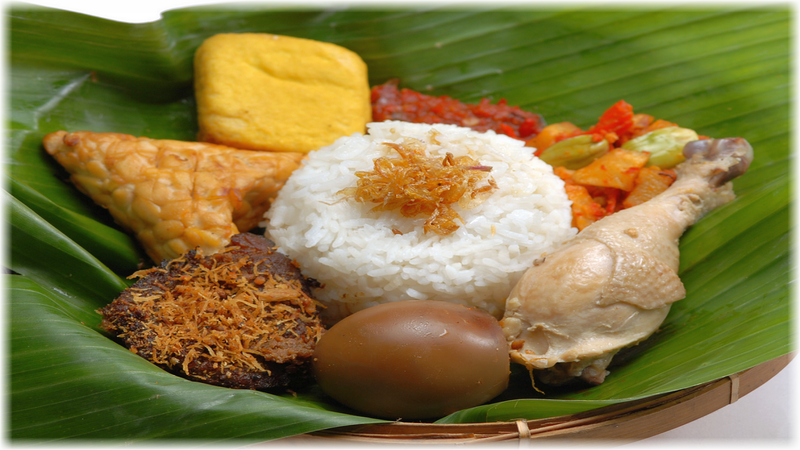 Although we saw itself tempe is a traditional food or just say rustic but you do wrong because this tempeh types can be used as food specials, you know, and suitable for a side dish every day for the family when we needed it. Tempeh Crispy is a good to serve while warm because the warmth of that flavor tempeh is increasingly feels good on the tongue especially when fitting the rainy season better served with a warm coffee accompanied with vegetable nodes coupled eaten along with warm rice. Tempeh in europe so even if the food is very expensive luxury. Comparative price is far enough away that is 4x the price of tempeh in Indonesia. So for all of you do not need to worry for soybean meal and love the local trade products of our own country. Tempeh Mendoan recipe can read in another page on this site. The pure fried tempeh Indonesian have also easy to be encountered in a variety of food stalls and sellers of fried existing road edge also in restopun certainly also exist. 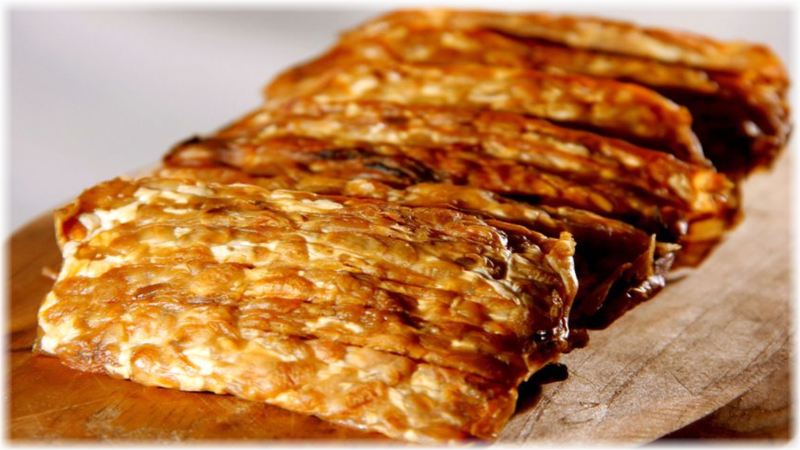 For you vegan lovers of the products of our own country, especiall tempeh do not worry because we will discuss the recipe which how to make crispy crunchy fried Tempeh. How to cook tempeh from frozen? Prepare Half stem turmeric that has been refined. Half a teaspoon of crushed coriander. Prepare 50 GRM rice flour. Cut Tempeh into several pieces and then adjust the standard size is recommended to get the perfect flavor tempeh. Some people add a chicken fried tempeh recipe for mor tasty. Then enter the pieces of tempe at first then roll seasoning and set aside some time. Further more input to the tempeh pieces of flour dough that has been given a few pieces of green onion. Fry in oil heated few moments until the color brown. Serve to your family while tempenya warm. Tempe Crispy ready to eat. I'll share another easy tempeh recipes another time, which involves dipping the tempeh into a simple marinade of crushed garlic, salt, and water, before frying it. In the interest of best tempeh recipe. Fried Tempeh as delicious Indonesian food and simple vegan recipe combine with marinated tempeh stir fry with broccoli and red bell pepper recipe you can try. Mybe the stir-fried tofu with tempeh and more easy recipe .